A little more than a week ago Walt Disney World released an album, Pandora: The World of Avatar, onto iTunes. It couldn’t have been more than fifteen minutes after I woke up that I ran across the album, downloaded it without even viewing the track listing, and pushed knowledge of the album out to various friends and Facebook groups that I knew were as insatiable for the album as I was. If I am being honest, the entire album could have simply included a single track of the Shaman of Songs and I would have been completely thrilled. The album has been almost two years in the begging from fans and the results are spectacular. The album opens with a trio of songs dedicated to ride and walk through experiences starting with Flight of Passage, moving on to the Na’vi River Journey (and the aforementioned Shaman of Songs), and then the surprising walk through Pandora. This last entry is the most surprising in that it harnesses some, though not all by a fair stretch, of the ambient audio in the Valley of Mo’ara. The area, which has done away with typical background musical loops in favor of a soundscape that harnesses the natural world, utilizes the creatures that inhabit Pandora and their calls to one another to create an environment of sound. The soundtrack is attributed to Avatar’s original composer, James Horner, along with Simon Franglen. Even though Horner passed away in 2015, his mastery for world building through music does not go unnoticed or underappreciated on this album. 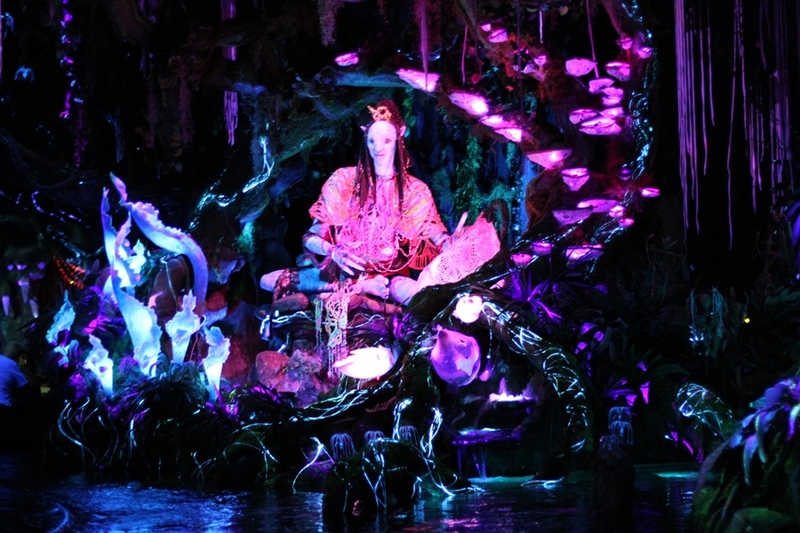 Of particular note are the pieces Magic of the Land and Spirits of Mo’ara, which capture a sense of wonder, whimsy, and their relationship with the natural world that depict a singularly individual story for each guest experiencing them, but still find a way to harness the epic personality that the land of Pandora offers. Franglen does a nice job of interspersing his touches into the remainder of the album overall. However, the retooling of Surf’s Up in track 11 is an example of 1990’s misguided musical mash-ups while the album’s closing piece, Wave, and the equally out of place Bossa, feel as if guests were trapped in an extended elevator scene in a 1970’s made for television movie. The album is a must have for fans of Pandora, even if, like myself, you find yourself drawn far more often to the land and adventures you can meander through on your own than the film that they are inspired by. From the drum beats on the back of a banshee, to quiet moments with the woodsprites, and further still to your own personal connection to the lumbering sounds of the sturmbeest, there is something here that will stir up your emotions if you have any connection to Mo’ara. The album itself brought up an interesting idea for me, especially considering the last several releases from Walt Disney World. 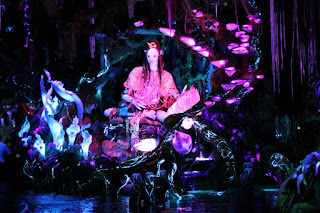 Prior to Pandora: The World of Avatar, the last album to be released was The Music from Rivers of Light & Tree of Life Awakenings Shows at Disney’s Animal Kingdom Theme Park, a name that just rolls off of the tongue. We are in a period where Disney, Walt Disney World in particular, is no longer rolling out just an all-inclusive double resort album with fair amount of soundtracks and songs available on a number of albums and a handful of highly sought after, but scarcely seen, tracks. Instead, the releases are targeted to a specific show or shows or towards the experience a single land offers. I suspect that Black Spire Outpost and the entirety of Star Wars: Galaxy’s Edge will be next. We’ve already been let in on the secret that John Williams is returning to score the land, and the scraps we’ve been able to hear have been incredible. I have no doubt that ride through soundtracks for Millennium Falcon: Smuggler’s Run and Star Wars: Rise of the Resistance could easily be paired alongside tracks spun by DJ Rex on a new album. Throw in ambient score selections from the marketplaces and alleyways and a grand overture and you have the next release from Walt Disney World. But why stop there? I feel there is an opportunity to explore the richness and legacy of Disney theme park music across the entire resort. Sure, an album with musical offerings from Fort Wilderness, Contemporary, and Port Orleans may sounds great in theory, but how many of us would honestly pony up the cash once these were released? I mean, I would, but I know that I am a scarcity. However, an album dedicated to Frontierland, complete with the well-beloved attraction soundtracks to Splash Mountain and Country Bear Jamboree along with songs cut from the land’s background loop, queue music , and, obviously, The Ballad of Big Thunder Mountain. Heck, you could even through in a couple of minutes with the weird ambient noise from Old Scratch’s Mystery Mine just to have that one incredibly odd track choice. The same could be said for quadrants of Epcot and Disney’s Hollywood Studios, as well as the lands of both Disney’s Animal Kingdom and the remainder of the Magic Kingdom. Most park areas have an extensive back catalogue from which selections could also be made, bridging the then and now across the musical spectrum. Now that is something I could see masses purchasing, particularly if they were spread out enough not to saturate the market. Do I have high hopes of ever seeing my fantasy Fantasyland album come to light? Not likely, but a boy can dream. Regardless of what dreams we have of being able to sift through the incredible amount of music that lives within the theme parks and resorts of Walt Disney World, they have shown that that area, show, and/or attraction specific albums are the way in which they are going to release their albums for the foreseeable future. 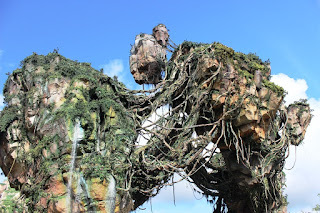 While we await to see if Toy Story Land gets a release before Galaxy’s Edge, I highly recommend picking up a copy of Pandora: The World of Avatar, it will reminded you of your own adventures in the Valley of Mo’ara and help pass the time between visits to Pandora. Thanks for the article. I have an Amazon Music (Prime Unlimited) subscription which I'm guessing is a little behind Apple music on the Avatar release. It's not available there yet, but the Rivers of Light album is so hopefully, it's just a matter of waiting a while. Regarding other park music, I assume you're familiar with the "jukebox" offered here? I'm not affiliated with them, just stumbled across them at some point and enjoy it for some background music every once in a while.